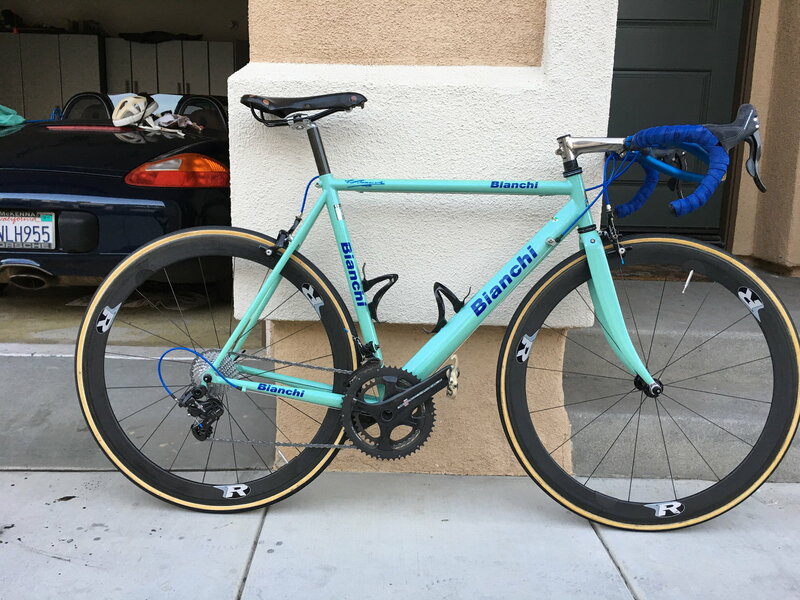 A Bianchi with Campagnolo 11 speed, nice! 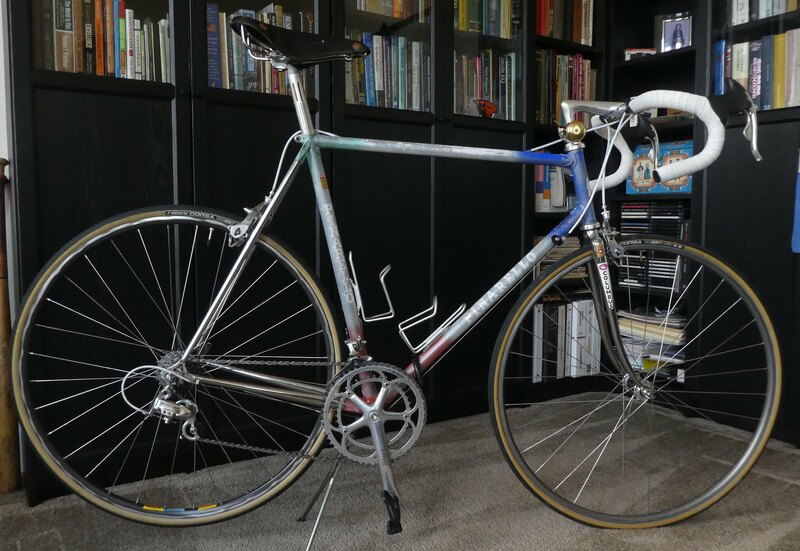 My newest old bike is a 1991 Pinarello Montello. I picked it up off CL for under 5 bills. It came with 74xx DT 8V. Thought it was a good buy even though I am more of a Campy guy. Great drive train. It has supported me for over 4000 miles with 3 crashes, 2 were my fault on slippery surface. My thoughts were that I needed to try brifters out. Oh, and I thought the Italian should have Italian parts. I started collecting, what I thought were, parts with good prices. 8V Ergo's for <50, RD, FD etc. I ended up with a mix of parts, which work well. My goal was all Chorus but ended up with a combination of Chorus and Record. The hitch are the hubs. The rear DA hub has a bad cone, which are unobtainium except by purchasing same hub used. There is a Record rear ready to go with the need for spokes. There is also a once-laced front Chorus also waiting for spokes. Once things turn around for me, I will be in the hunt for parts to complete one of the two groups. Anyway, this is the bike and I really appreciate how well it shifts and rides. I don't notice a difference between the Campy and DA shifting. Full disclosure, the rear is still DA with Wheelsmith spacers to accommodate the Ergo's.